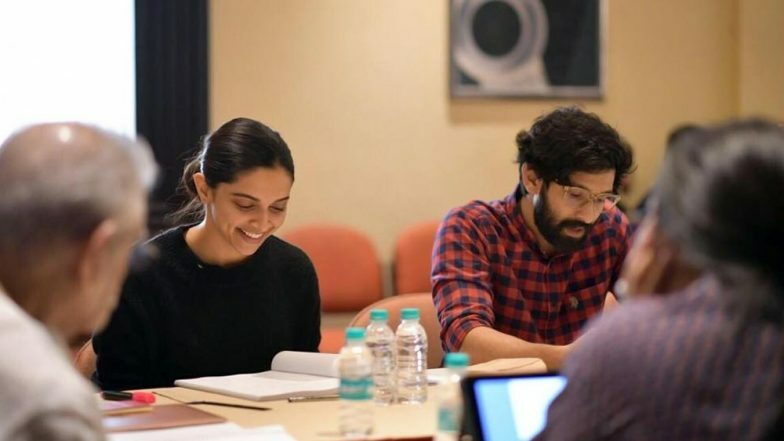 Deepika Padukone and Vikrant Massey have teamed up for this years one of the most ambitious projects. The duo will be next seen in Meghna Gulzar's film, Chhapaak. The flick is based on the life of acid attack survivor, Laxmi Aggarwal. Her inspirational story was all over the publications a few years ago and now the Raazi director has decided to show it on the celluloid. The actress who will be seen in Laxmi's role shared the still from the prep work session on social media. Holi 2019: It’s All Work and No Play for Chhapaak Star Deeepika Padukone. In her Instagram post, DP wrote, "All things are ready, if our mind be so-William Shakespeare #Chhapaak @meghnagulzar @foxstarhindi @vikrantmassey87. One can see a visibly excited Deepika in a all-black outfit, sitting along with her co-star Vikrant. The glimpse from their script reading session is enough for the fans to get hold of what the duo has in the store for us! Check out the picture below. Earlier, speaking of being a part of this project, the dimpled beauty had said, "I think it’s a story that needs to be told. It’s a very important story and it’s a true life incident, so hopefully, good things will come out of it." What can be a better choice than Deepika for this motivational story, right? Also, watching her camaraderie with the Lootera actor will be like a breath of fresh air.